One of the leading figures in contemporary Pop Art, AVone, aka Anthony Vasquez, is a widely acclaimed American street artist. Quite versatile, he is more than capable of working in various different media, including collage, graffiti, murals, and prints. Inspired by his own natural drive to express himself, the artist is actually telling his personal visual story. With an idea that his work is an extension of himself, AVone is able to observe all the subtle transformations that occur along the way – for example, if he is sad, he will make sad art, if he’s feeling lazy, it will show in the pieces. Humble as he is, Vasquez realizes that his art is still growing and admits there is a long way ahead of him. 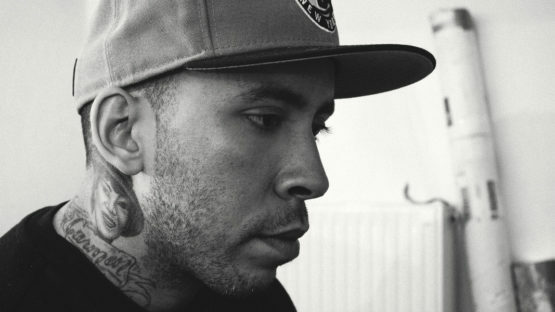 Born in 1979, Vasquez grew up in Crown Heights and Fort Greene in Brooklyn in rather difficult circumstances and as a half-orphan. Despite having to face the social imbalance of his hometown, gang crimes, drug dealing and violence, he used to spend most of his early years exploring the city freely, taking the subway to every borough. AVone began drawing at a young age, his first subjects being his friends, toys, and cartoons. As he was getting older, he began expressing his creativity through what is widely considered as vandalism, tagging facades and walls. 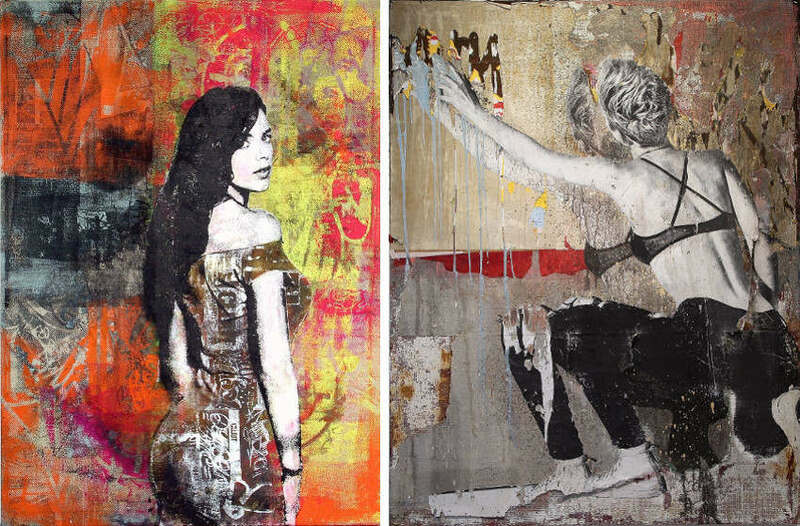 In his 20s, the artist experimented a bit, adding screen printing and collaging on canvases to the list of techniques he’s capable of executing. AVone’s work is deeply influenced by the city of New York, as well as by the work of trendsetting artists including abstract expressionist Franz Kline and Land-Art pioneer Andy Goldsworthy, whose pieces has inspired the Fragmenting of his writing and self-developed textural surfaces. He was also enthusiastic about the work of one of the most prominent artists in history Vincent van Gogh, and one of a leading figure of pop art movement Andy Warhol. In his Art Works series, AVone also extracted elements from comics and Hip-Hop culture. In the early 2000s, AVone tags could be seen everywhere throughout New York. This not only furthered his name but also called the anti-graffiti forces of NYC. Considered by some to be number one of the most wanted graffiti writers of New York, AVone was arrested several times. On February 23, 2007, he faced a long prison sentence. Evan Roth, an American Digital-Art activist and conceptual artist, liked AVone’s work, bailed him out and took Vasquez under his patronage. Their collaborative piece was shown at the Museum of Modern Art in Midtown Manhattan, New York City, and soon after, a colossal version of AVone’s tag was projected by Roth on the Brooklyn Bridge. Vasquez’s pieces are based on his life, as he documents his surroundings, interests and feelings. Described as the quintessential New York artist, AVone’s art expresses both the growth and decay of the modern urban environment. He is one of the most established American contemporary pop artists known for his signature eye-catching photorealistic style. 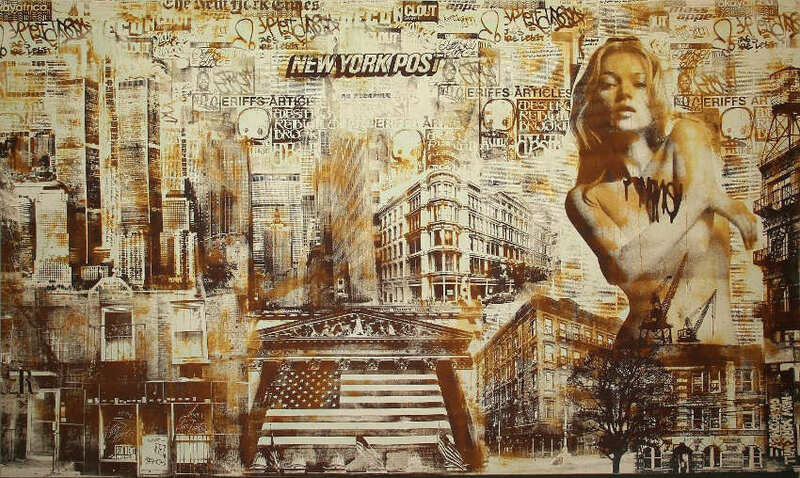 AVone’s patinated, ripped and stained multi-layer artworks are stenciled or screen-printed with iconic New York City landmarks like The Empire State, the Word Trade Center and the Brooklyn Bridge. 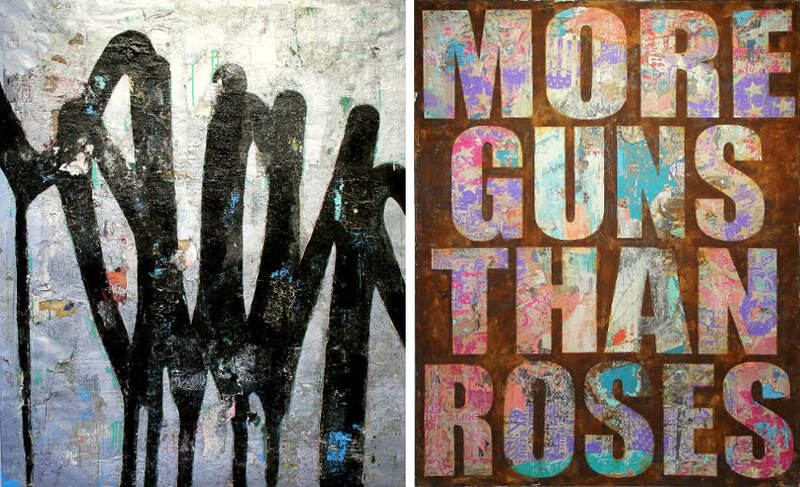 In his practice, AVone uses a combination of techniques such as silkscreen, paint, markers, spray cans, collaging and oxidation to complete his astonishing works made on canvas, wood, copper, acryl, varnish, metal, vinyl, or grime. His repetitive use of images composes a distinctive and gritty vision of urban decay. During his career, Anthony Vasquez has often collaborated with other street artists. In late 2005, AVone founded the artist collective “Destroy & Rebuild” after a stint in jail. The three-man Brooklyn-based artist collective, “Destroy & Rebuild” was composed of Anthony Vasquez, Mike Baca (aka 2esae) and Fernando Romero (aka Ski). All the artists got their start doing illegal graffiti on the streets and subways of New York City. In the summer of 2007 AVone and TMNK (aka Nobody) founded “soSIC” (“Soho street ink collective”) consisted of TMNK, AVone, Ski, 2esae, and P.Wayne. AVone’s bold artworks have quickly attracted collectors from around the world, as well as a following of young artists inspired by his creativity. He has worked on a number of major projects over the course of his career, including works commissioned by global cable television network, ESPN, as well as the men’s professional basketball league, the NBA. In 2013 the Brooklyn Nets and NBA TV’s “The Association” commissioned him to create a large installation in the Barclays Center in Brooklyn, New York. Soon after, ESPN hired the artist to create an artwork for Michael Jordan’s 50th birthday. AVone’s gigantic Jumpman canvas was 10-ft high x 7.5-ft wide painting, entitled It’s Gotta Be the Shoes. AVone’s work has been included in many individual and group exhibitions in the USA and abroad including at Lot F Gallery, Boston, MA (2013; 2011; 2010); The Gallery Inn, Old San Juan, PR (2013); Hamsun Gallery, Tranoy, Norway (2012); Pulsmacher GmbH, Ludwigsburg, Germany (2012); Gallery89, New York, NY (2012; 2011); Versus Gallery, Brisbane, Australia (2009); Inoperable Gallery, Vienna, Austria (2009); and Muse Gallery, New London, CT (2008), to name a few. He is represented by 30works Gallery. Anthony Vasquez lives and works in Brooklyn, NY.